2016/17 will be the year that Troon gets a new school. It will be a wonderful new building that will inspire the children of Troon for years to come. Now we can work together to open up the same opportunity in Malawi. 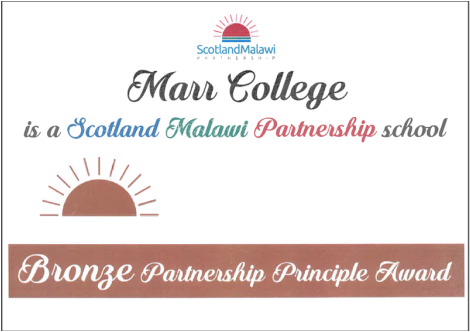 Marr College is beginning a partnership with Ntenjera that will see both our communities develop, friendships made and horizons broadened. Pupils were given the opportunity to design a logo for our partnership with Ntenjera. It would be shrunk-down to fit on letter-heads so not too much detail. Winner will be annonced shortly, entries can be seen above.